¿Dónde estás, pequeño reno? 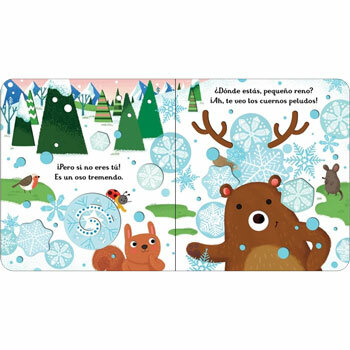 is a wonderful festive board book in Spanish that's perfect for babies and toddlers. Little reindeer is hiding! 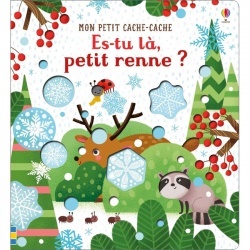 Very young children will love peeping through the holes and touching the textured pages in this festive hide-and-seek board book, spotting a fox, squirrel and snowman as they search for the elusive little reindeer. Written entirely in Spanish, this book has been developed especially for the very young. It is published in Spain and uses Castilian (European) Spanish.